Nicenstripy Warwickshire - Fencing/Gates, Garden Services based in Long Lawford, Warwickshire. 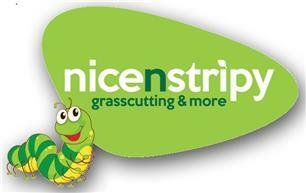 We are 'nicenstripy' – a proud and friendly garden care and grass cutting company, providing the best garden care services since the mid-1990s. We pride ourselves on providing a unique, quality service for our customers. We offer so much more than simply grass cutting and lawn care – at ‘nicenstripy’, we’re passionate about providing the full garden maintenance package with services including hedge trimming, weeding and moss control, gutter clearing, hard and soft landscaping, top dressing and so much more. Not only do we provide a friendly, quality and trustworthy service, all of our people are fully qualified, insured and experienced, and our services are very competitively priced. We start off by getting to know your garden, and we work from there. No two lawns are the same – the size and shape of lawns, position of flower beds and degree of slopes all vary - so our grass cutting and lawn care services are truly bespoke and tailored to your needs.